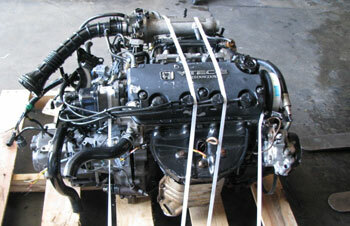 Welcome to Junkyard Jungle, your ultimate online resource for quality tested used auto parts. In addition to our used engines for sale, we also have used transmissions and used transfer cases, all at unbeatable prices. We're proud to offer one of the largest and most comprehensive collections of used engines and transmissions available anywhere in the world, and we work hard to ensure that our prices remain not just competitive, but some of the best you will find anywhere. Call us. Email Us. Let us help you find the part you need. Welcome to Junkyard Jungle, your ultimate online resource and sales center for quality tested used auto parts. In addition to our used engines for sale, we also have used transmissions and used transfer cases, all at unbeatable prices. Every team member at Junkyard Jungle is committed to providing quality recycled auto parts with exceptional customer service. We have a huge selection of body, suspension parts, engines, transmissions, and everything else under the hood. Our inventory is computerized and up to the minute so we can get you the correct part the first time.